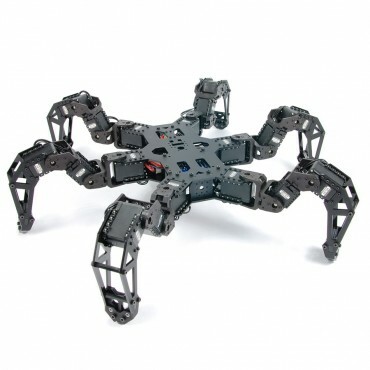 Interbotix Labs is proud to introduce the 2nd revision of our popular Hexapod robot kits, the PhantomX Hexapod Mark II! 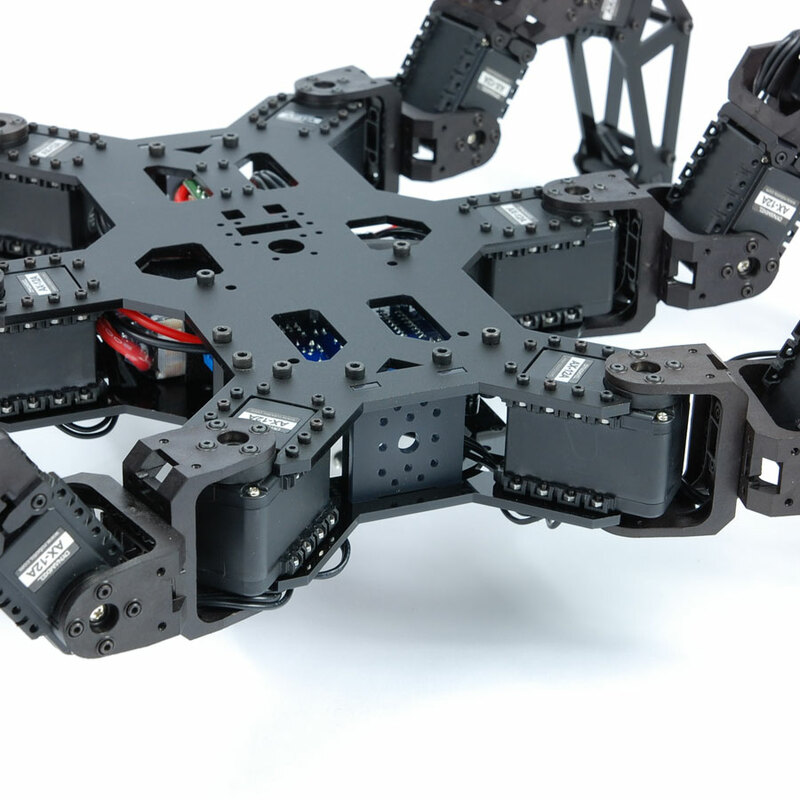 These kits combine some of the most advanced robotic technologies on the market to bring unparallel performance amd quality into your hands. These hexapod kits are the collaborative effort from some of the top talent in the robotics community: Next-Gen AX series DYNAMIXEL robot servos, the infamous Arbotix Robocontroller, and a fantastic open-source software system make this an extremely durable and versatile robot that will grow with you as you learn more and more about robotics. You can chose the version equipped with Standard DYNAMIXEL AX-12A or Ultra Fast DYNAMIXEL AX-18A Series Robot Servos (see the comparison chart here). 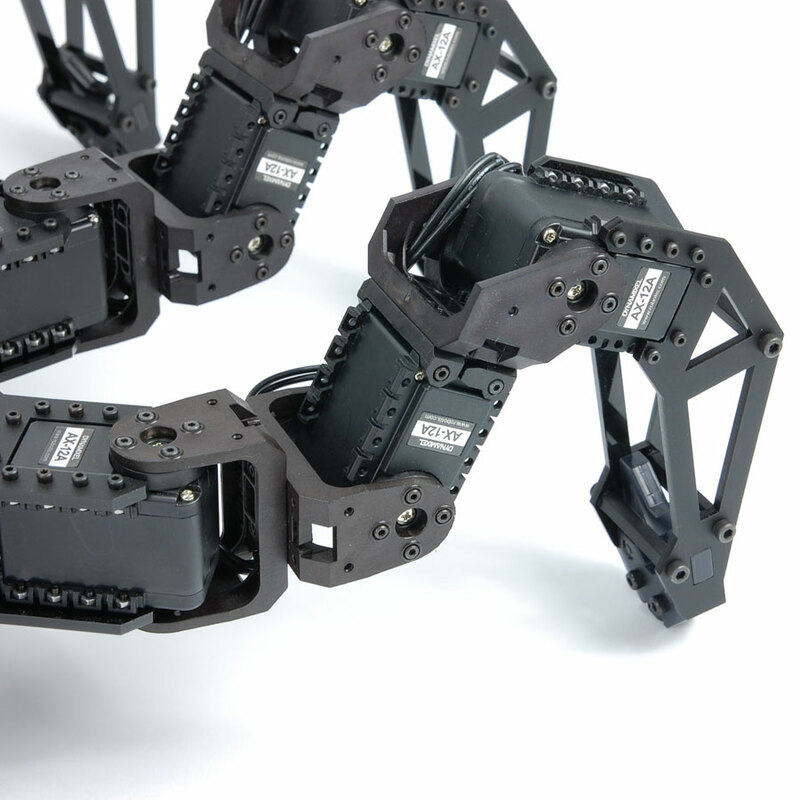 Advanced Inverse Kinematics Driven Gait Engine. 6 Different Walking Gaits Available. This Comprehensive Hexapod Kit comes with everything you need for a fully-featured robotic platform. 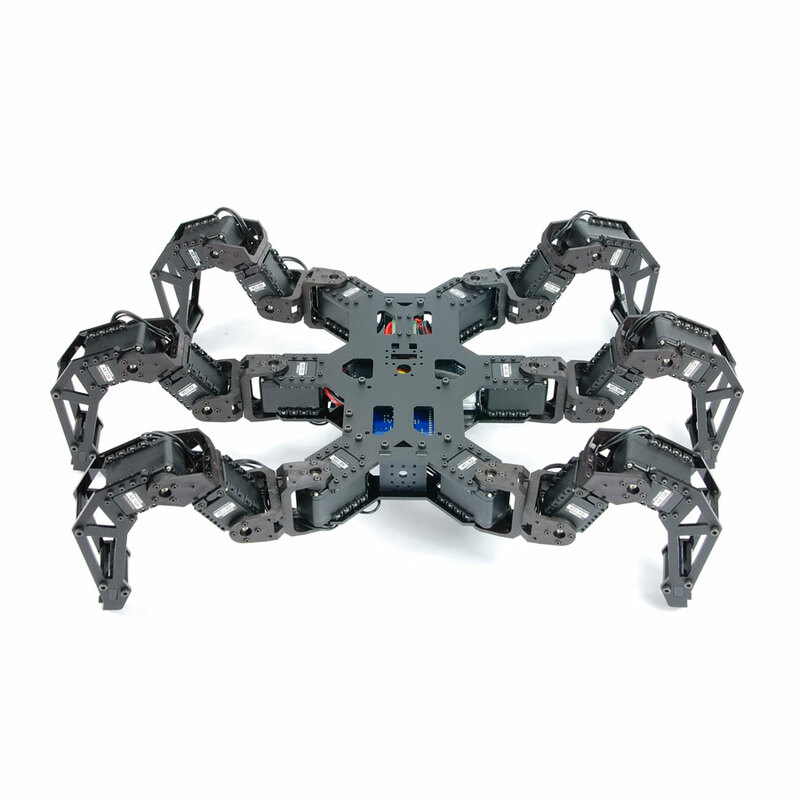 All 18 DYNAMIXELs (preset with IDs), frame components, anodized black socket-head hardware, an Arduino-compatible ArbotiXRobocontroller, FTDI interface for programming, the handheld ArbotiX Commander, a set of paired Xbees, a PC-side Xbee USB interface, a 3S 2200mAh LiPo Battery, Multi-Function LiPo Balance Charger, and even a bottle of Threadlocker! We also have highly detailed step-by-step assembly manuals to ensure your kit goes together smoothly. 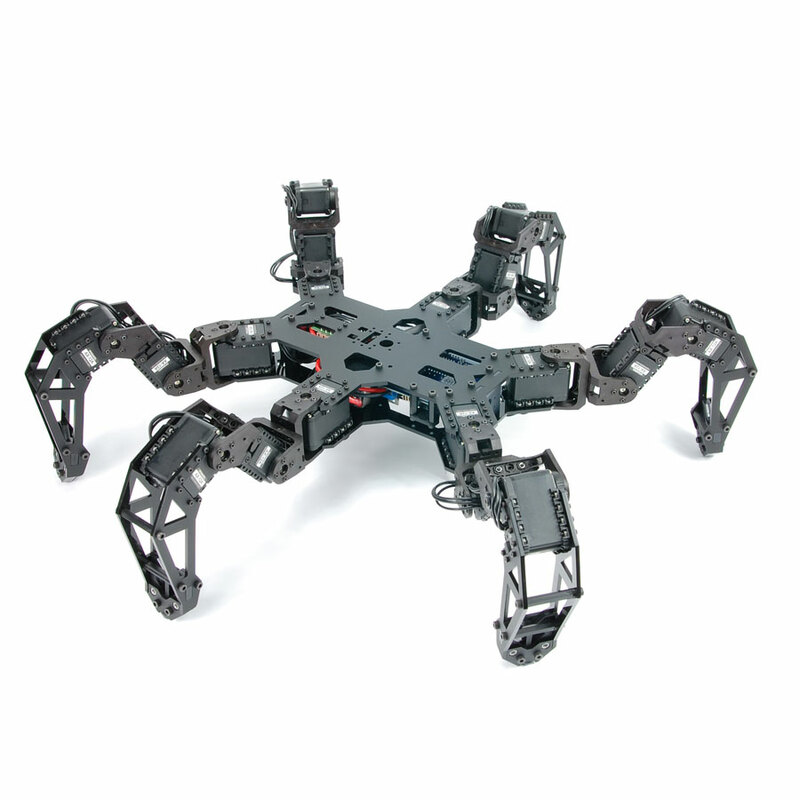 18x AX-12A OR AX-18A DYNAMIXEL Actuators (You can select your version). 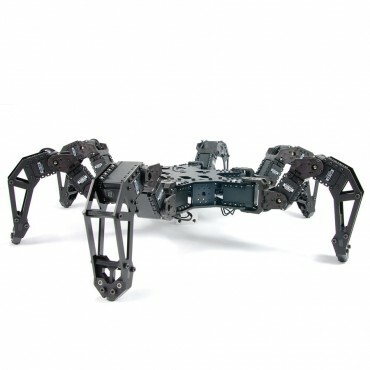 PhantomX Hexapod Hardware & Body Kit.